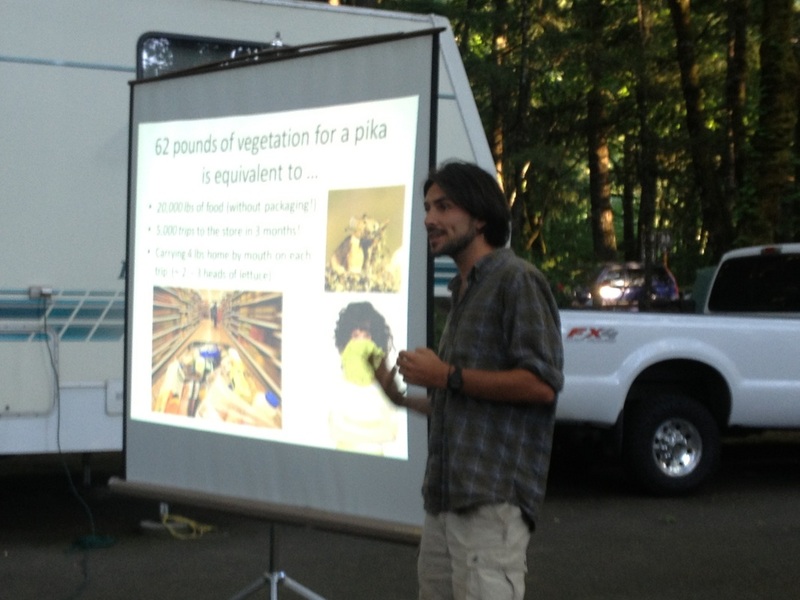 Speaking about the goals of bird banding to a group of public school teachers. 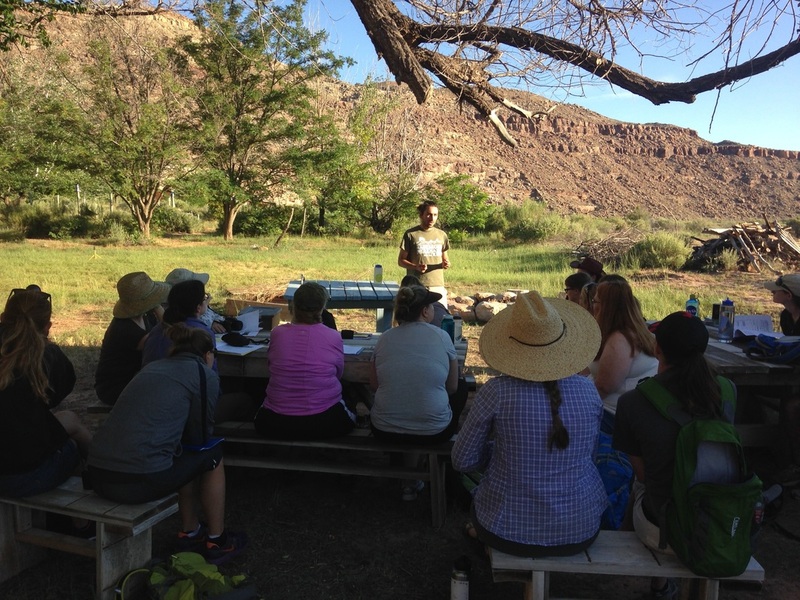 This presentation took place as part of a weekend retreat for teachers to learn about hands-on science at the University of Utah's Rio Mesa Research Center. 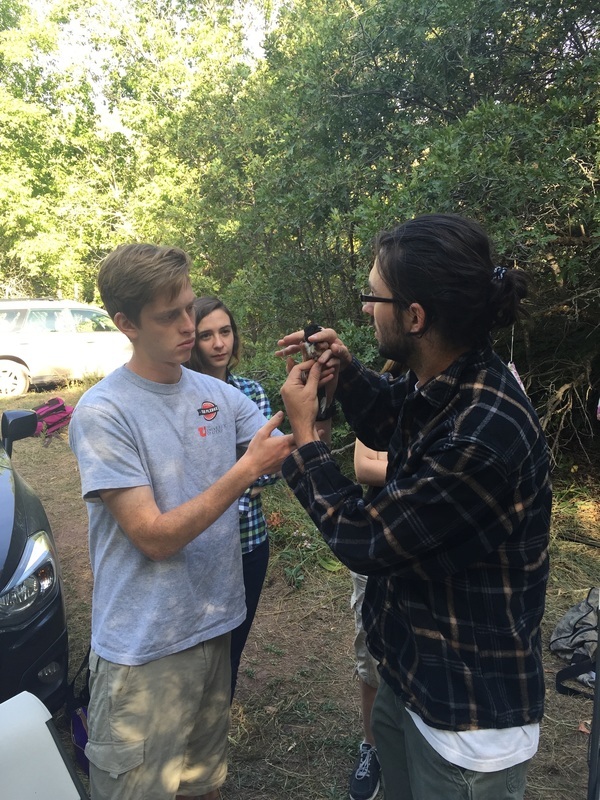 Instructing students of the Wildlife Biology class on proper bird handling technique at the Red Butte Canyon banding station.